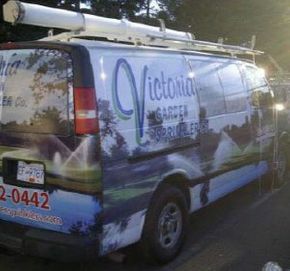 At Victoria Garden Sprinklers, we service both residential and commercial irrigation systems. We provide automatic sprinkler system repair, maintenance, advice, design and installation. Our family owned and operated company has handled the lawn and garden needs of home and business owners throughout Saanich, Sidney and surrounding areas since 1981. The right irrigation products, along with our extensive knowledge of irrigation methods and experienced manpower, get the job done. While we specialize in sprinkler system installation, maintenance (including winter shut-downs) and repairs, we are also competent landscapers. We build fences, decking, patios, sheds and gazebos. We dig holes, plant shrubs, build berms, lay sod and more. We can take care of all of your lawn and garden needs. Call us today and let us know how we can help you!